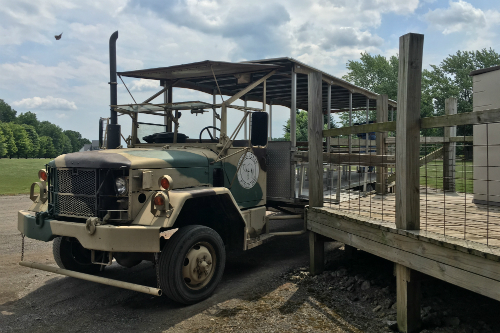 A safari in Northeast Ohio? 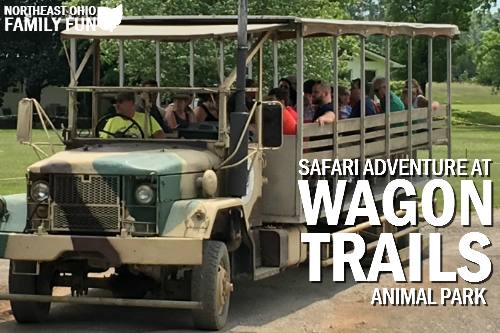 That doesn’t sound like a realistic option, but Wagon Trails Animal Park in Vienna Ohio gives you the chance to experience your own safari adventure. You’ll literally be up close and personal with camels, bison, antelope, buffalo and so much more. 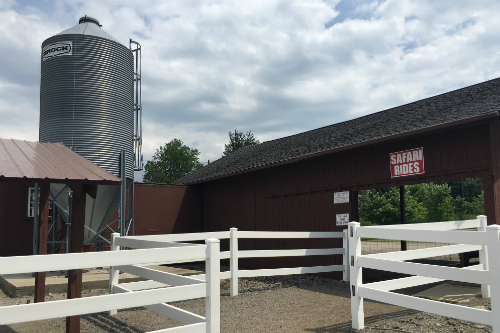 Upon first entering the Wagon Trails parking lot, you get a glimpse of the main shop and petting zoo, but you have no idea what is in store on the 60-acre property behind you. 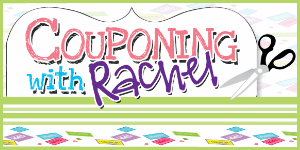 Helpful Tip: Make sure to bring cash because they do not accept credit or debit cards. The office has an ATM in the shop in case you forget though. Before you load onto the wagon you are given a large bucket of feed for the animals. This is a huge part of the interactive experience because the animals flock to the food. If you run out of food, they have $2 refills right on the wagon. The wagon seats a max of about 50 people. There are long wooden benches that circle the sides of the wagon, and then a large bench that runs down the middle of the wagon. The two benches are great for storing your food and personal belongings, as well as giving you the ability to bounce back and forth for different views throughout the ride. I wasn’t quite sure how our 20-month old son would handle the animals, but I was pleasantly surprised with his sheer delight. As the wagon entered the wildlife enclosure, he was shrieking with excitement. 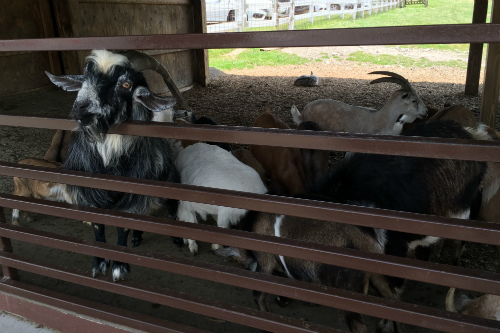 You remain seated while the wagon is moving, but once the driver stops, you are allowed to feed the animals. We were first met by bison, camels, antelope, cows and buffalo. They know you have food, and they literally surround the entire wagon eager for a bite. 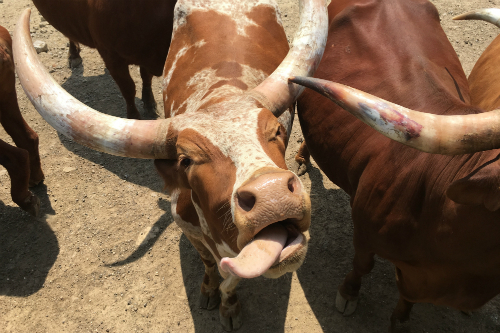 Their large tongues stick out and you can pour the food right into their mouths. Your tour guide will advise you which animals are safe to feed by hand. I was a little nervous because our son was sticking his hands right by their mouths and even got a few face licks, but he was fine the entire time. Several of the camels and buffalo stuck their heads under the seats and tried to eat off the floor. Our little guy was absolutely fascinated by their presence. 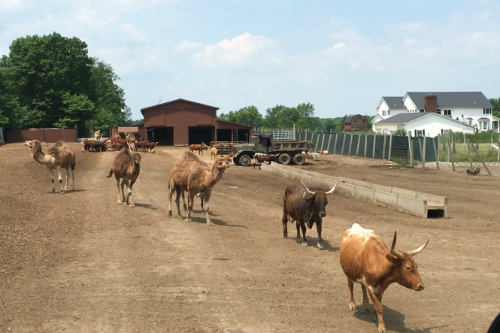 When we would leave a feeding stop, the animals would run after the wagon to try to catch up for more food. It made it feel like you were on an actual African safari. The excitement even had my adrenaline going! The ride lasts for 45 minutes or so, and you see more than 350 animals. The wagon also travels through a manmade lagoon. 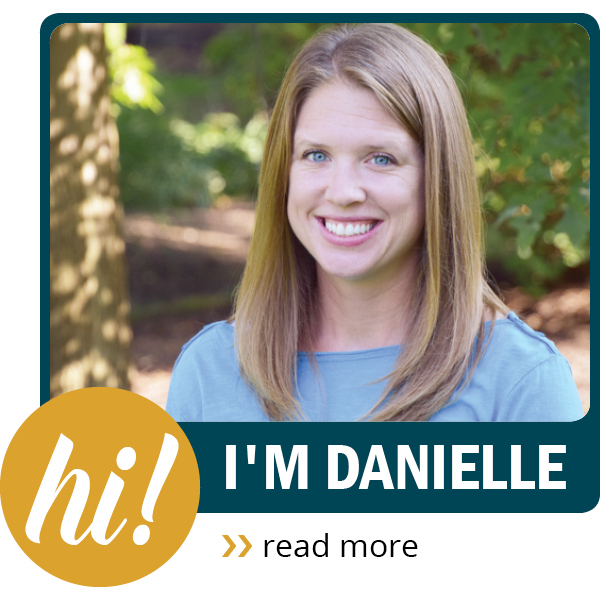 Driver narration offers good lessons on the animals, their temperaments, where they are from and much more. The last animals we saw were the ostriches and the zebras. 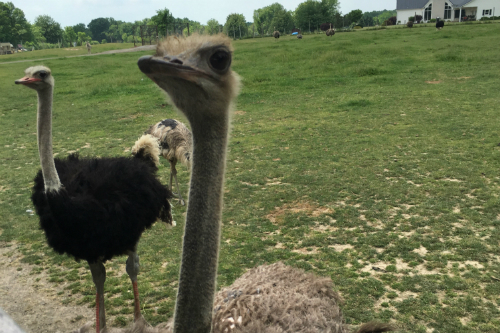 The tour guide pointed out that these animals are more aggressive and she recommended being careful during your feeding. However, they are absolutely beautiful, and it is quite a treat to see them up close. I would be cautious what you bring with you onto the wagon ride. Water bottles, pacifiers and toys are easily dropped in all of the commotion. One of our son’s sandals went missing within the first five minutes. I thought it was a lost cause, but then low and behold one of the staff members had it for us as soon as we finished our ride. We were extremely impressed that they found it! We finished the trip off looking at goats, turkeys, porcupine, peacocks, pigs, parrots and several other animals that make up their small petting zoo. 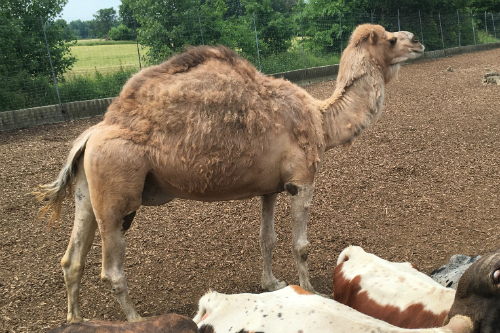 Although I wouldn’t make the trip just for the petting zoo alone, it is a nice additional activity once you’ve had your safari ride. My favorite part was the fact that the parrots actually mimicked you. They could say “hello” and a few other words. 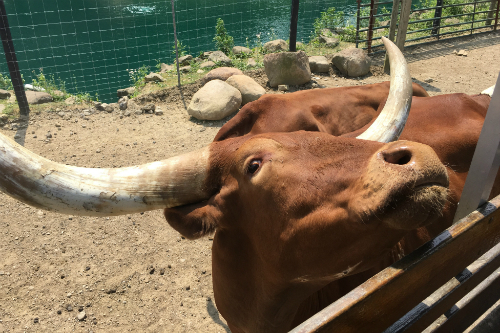 If you’re looking for something that is a little different than your average zoo trip, Wagon Trails is definitely the answer. It is quite breathtaking to not only watch, but actually interact with these large creatures. They are magnificent and majestic as they keep up with the speed of the wagon. Bring cash for your admission fee.